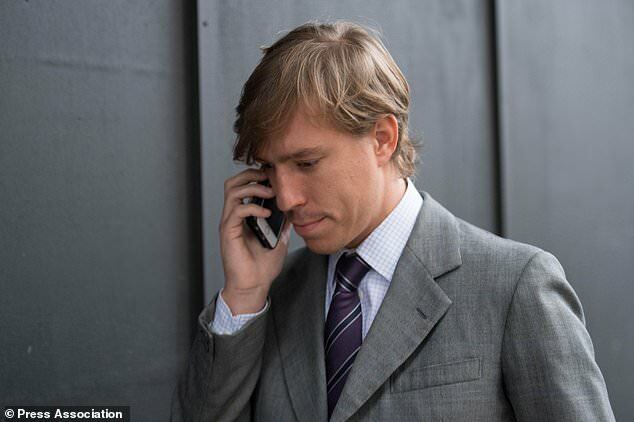 A European prince has been ordered to pay £4,000 a year for each of his two children after a divorce battle with his estranged wife- who originally demanded £1.5 million. 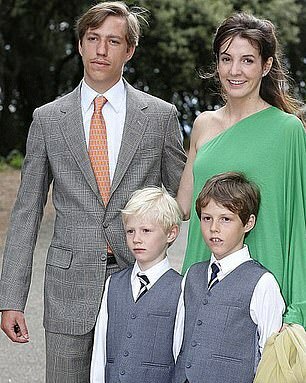 Prince Louis of Luxembourg, was embroiled in the case over the division of money and property with Princess Tessy at a trial in the Family Division of the High Court. The judge said that what Princess Tessy, whose gross salary was £75,000, wanted had ‘evolved somewhat’ during the hearing. She said her annual budget for herself and the children was around £150,000 and she had initially asked for a £1.5 million lump sum plus money to buy a family home and a car. In her closing submissions she had said she was ‘simply asking for a house for her and her children’ and financial support. The prince had said her claims for ‘maintenance’ should be dismissed. He offered to pay £3,000 a year per child and offered to give her the family car. The judge said he was satisfied that the prince did not ‘own a share of the beneficial interest in the former matrimonial home’. He said he had decided that he was ‘limited in this case’ to making orders including providing the princess and children with a ‘licence to occupy’ the home the couple shared when married, providing for ‘nominal spousal maintenance’ and ‘periodical payments’ of ‘£4,000 per annum per child’. Today, additionally, the Prince told the divorce court judge that Princess Tessy, a former soldier, had undertaken her role ‘with grace’ and served Luxembourg’s royal family well. Parents are able to arrange child maintenance between themselves. But they are advised to check this against what the Child Maintenance Service would assess as the amount. This is because either can go to the CMS for a maintenance calculation. In any event, if the parents can’t agree on what to pay, the CMS can calculate it for them – taking into account how many children they have, the income of the paying parent, how much time they spend with the paying parent and whether the paying parent is paying child maintenance for other children. Parents normally pay child maintenance until their son or daughter is 16 – or until they are 20 if in school or college full time doing A-levels or equivalent qualifications. A common arrangement will see parents pay 12 per cent of their gross weekly income for one child, 16 per cent for two or 19 per cent for three. The judge said at its heart the dispute was ‘simply a sad case’ involving a couple who were determined to marry for love and had been happy before their ‘fairytale’ soured. After news of their pair’s split broke, Princess Tessy was forced to fend off accusations she was a gold digger. Mr Justice MacDonald had analysed evidence at a private hearing in London in October. Princess Tessy, now a director at a non-governmental organisation she founded called Professors Without Borders, lives in London. Princess Tessy was serving for the UN when she met Prince Louis, who was visiting the troops in Kosovo. They got married in September 2006, six months after the birth of their son, Gabriel. Their second son Noah arrived within a year. But it was only two years later, that she was recognised as a member of the Royal family, which was granted by decree. When married, they had lived in the United States and London. Their marriage broke down during the summer of 2016 and another judge granted a divorce decree – a decree nisi – in February 2017. Mr Justice MacDonald said he had decided that Princess Tessy and the children could live in a property the couple had shared when married. He said the prince would pay the princess ‘nominal’ maintenance and pay child maintenance of £4,000 a year per child. The judge said he had examined ‘the relatively complex financial arrangements’ of the Luxembourg royal family during the trial. He included in his ruling a statement the prince had made during the trial. ‘We married young and much has been expected from the applicant in her role as princess,’ the prince had told the judge. Mr Justice MacDonald added: ‘At its heart, this is simply a sad case about a young couple who determined to marry for love despite the considerable challenges posed by the way in which history, tradition and chance had conspired to define their respective social status and to shape attitudes towards their marriage.